Panasonic prides itself on producing high-quality electronics. More precisely, it boasts of a wide range of unique, professional camcorders. 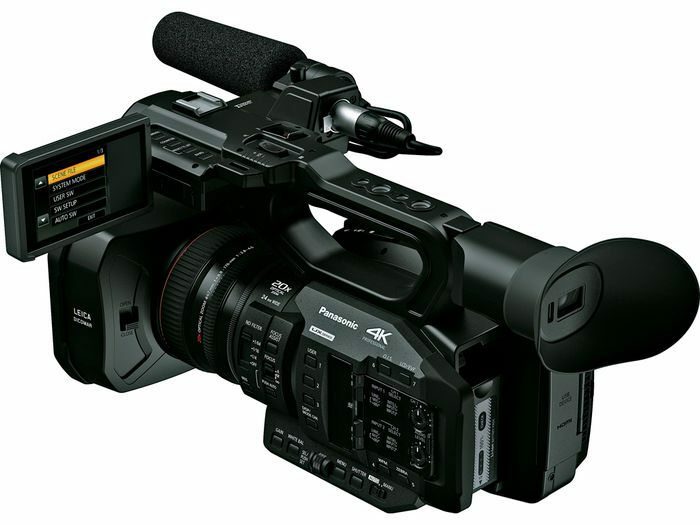 In a recent twist of events, it announced a new series of professional 4K camcorders; Panasonic AG-UX180 4K UX Series Handheld Camcorder. This premium model camcorder features a variety of sleek properties. This latest introduction is set to replace the popular AVCCAM series of professional AVCHD camcorders. Ideally, it is the perfect answer to the recently realized high demand for 4K content. 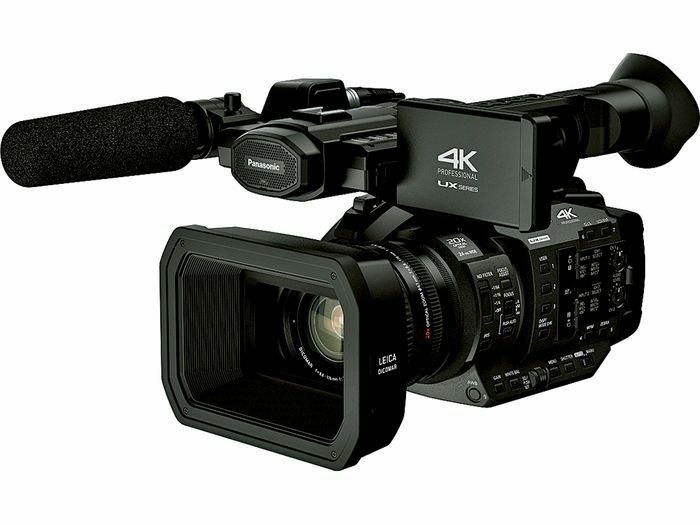 With this latest UX camcorder series, 4K acquisition is bound to be more accessible to professionals. Panasonic AG-UX180 features a variety of unique specifications. Of particular interest is the 20x optical zoom. Apparently, it is rumored to be the best in the industry. Even more interestingly, it exhibits a very long optical and digital zoom. A combination of these fantastic features makes it peculiar and favorable for many users across various professionals. 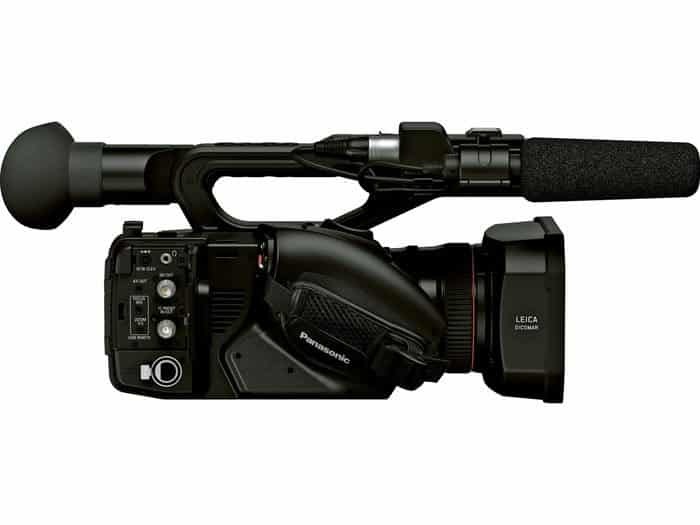 For enhanced performance and reliability, the camcorder features time code jacks and SDI. This lovely camcorder comes in with double slots for memory cards. This enhances continuous fast speed video coverage without the slightest worry of limiting space. This means it can support a storage of up to 96GB. Apparently, the camera is designed in such a way that it enables UHD recording in one card and lightweight 1080 on yet another card. After you are done or when the memory is near full, you can transfer files directly from the camera without necessarily removing the SD cards! For a camcorder of this caliber, it is only worth it when it guarantees a seamless and unique recording experience. As expected, Panasonic AG-UX180 does not disappoint. More resoundingly, this device allows for recording in varied formats including MP4 and AVCHD files. When it comes to the display of quality images, you will not be disappointed; better than ever before even in low light! With all these amazing components evident in one device, there is every reason to believe Panasonic AG-UX180 4K Premium Professional Camcorder is a product worth going for. 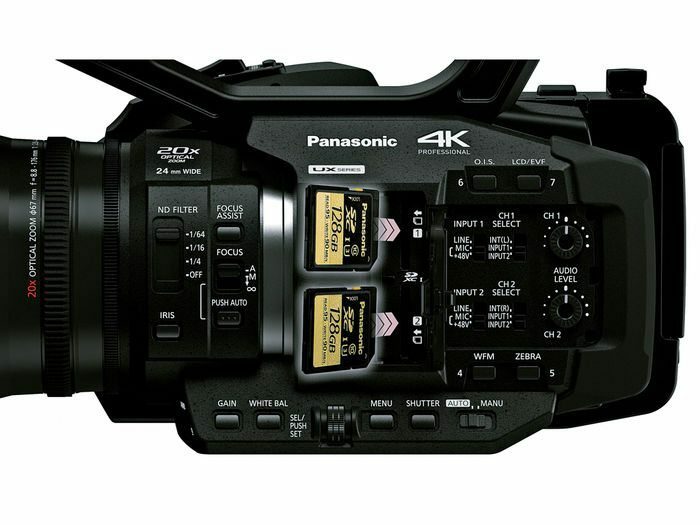 Latest research shows that Panasonic AG-UX180 will be able to do 200Mbps at 60p in HD! If you have been in the film industry just a little longer, you will appreciate that this is no mean feat. The camera gives you an unprecedented 16-axis control over the various color in this camera. 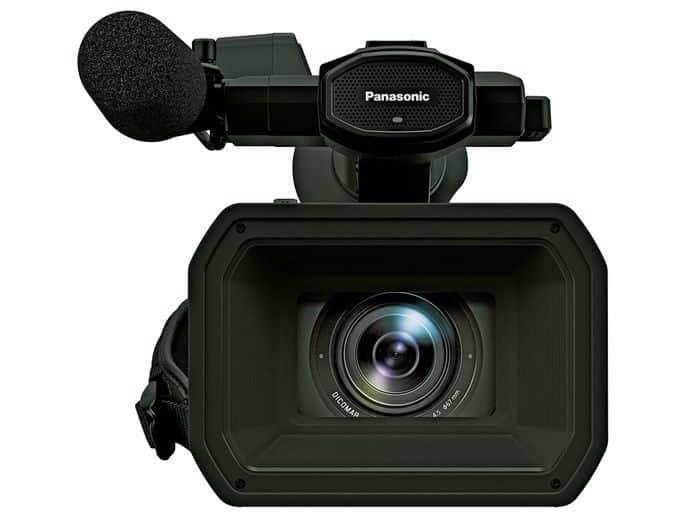 Panasonic AG-UX 180 is fitted with three separate rings, which give control over the zoom, iris, and focus. It boasts of a quality lens that goes from 24mm-480mm. This Panasonic video recorder also features a special type of MOS sensors. For those who specialize in news and events, this camera guarantees something better and more amazing. Ideally, it enables one to throw the background out of focus and stop down to focus on sharp 4K capture when necessary. 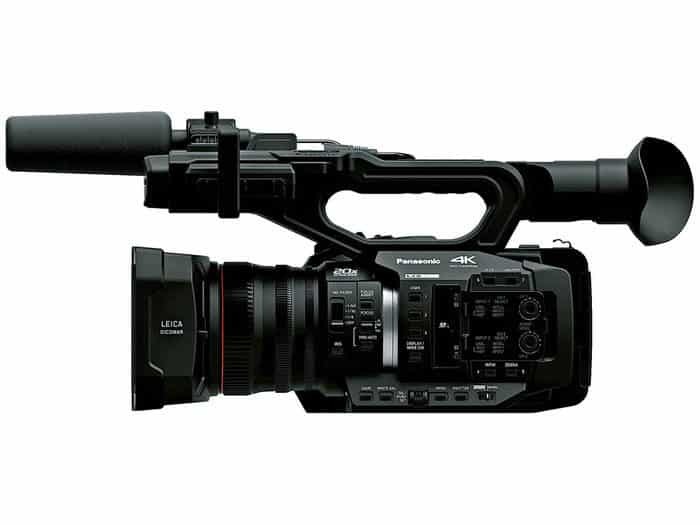 Compared to its competitors Sony PXW-Z150 and Panasonic GH4, it guarantees better functionality and enhanced speeds. The enhanced functionality of this camcorder guarantees a better video coverage experience for people in various fields. Its amazing recording capabilities suit a wide range of applications including education, commercial sports, and even web video. Undoubtedly, it is the perfect series of Panasonic 4K camcorder delivering exceptional 4K performance with unbeatable features. A combination of various advanced features makes this camcorder almost irresistible. In addition to its amazing features, the product also features increased strength. This ensures extended longevity; an asset that will serve you better and longer. Panasonic Singapore today was having the UX Series Product Launch at its Bedok South plant. The 2 products were premium model, AG-UX180 and the more affordable standard model, AG-UX90. The specifications and details of the two models were announced to us and that including the list price and the stock availability. That has marked a new milestone for all 4K recording as an entry level for Premium UX Series Video Production. The UX Series camcorders delivers a magnificent 4K performance with astonishing features including a breakthrough designed Leica Dicomar 4K compact lens with a industry’s widest angle, i.e. the wide 24mm angle (4K 24p, 17:9). for an integrated lens camcorder. The premium AG-UX180 features a high-powered 20x optical zoom which covers the range from 24 mm at the wide-angle to the telescopic end of 480 mm. A 1.0-type (effective size) MOS sensor is incorporated in both models to provide them with the same level of sensitivity as other conventional handheld camcorders. It also supports the extensive and easy-to-use MOV (QuickTime), MP4 and AVCHD file formats. The Expanded O.I.S in the UX Series features a very Intelligent Auto Focus for easy operation and high reliability that has made 4K shooting much easier than before. The camcorder’s two SD card slots enable seamless relay recording by simply changing SD memory cards and allow recording at the same time. The four lens groups could be driven on its own at the same time by the lens system. The lens size and drive range for each of the four groups can be efficiently suppressed to produce quality image and max up its zoom power. 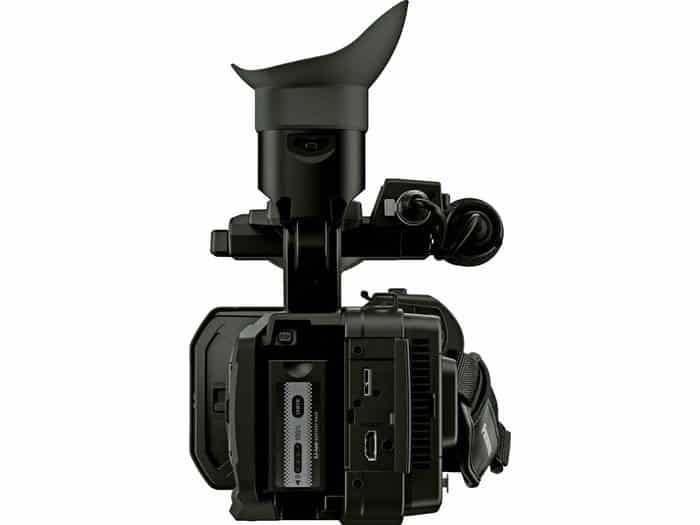 There is a 3.5-type LCD monitor embedded inside the camcorders’ handle section, ready to be pulled out and rotated at 270 degrees vertically for easier viewing at high-angle or low angle. The first two models of the new UX series of professional 4K camcorders, the standard model AG-UX90 will be available in November and the premium model AG-UX180 in December.